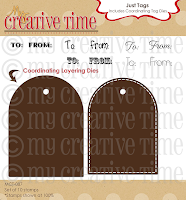 Liz's Paper Loft: My Creative Time's September Mini Release Blog Hop! 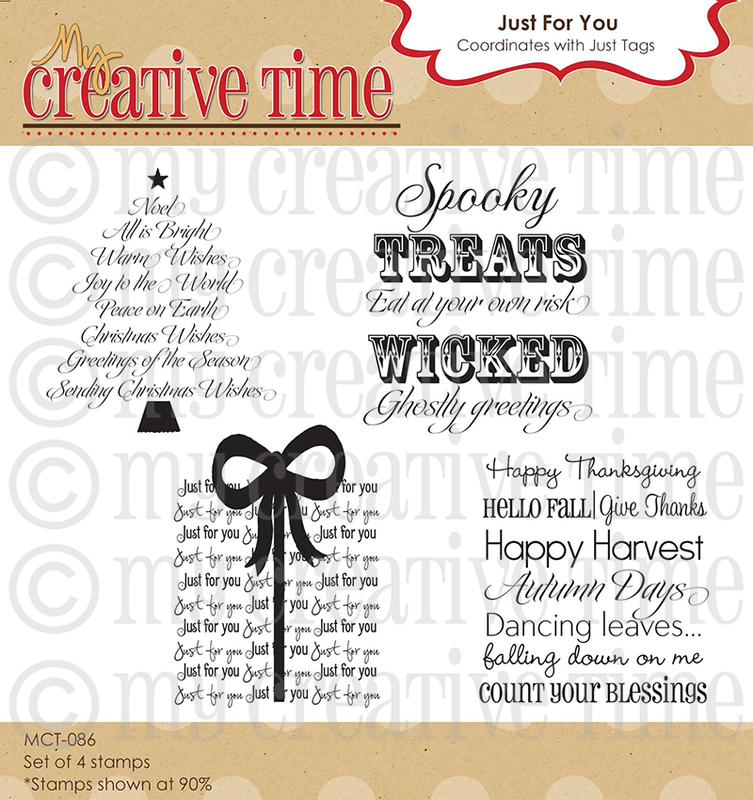 My Creative Time's September Mini Release Blog Hop! 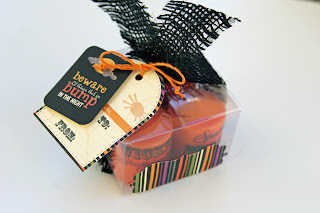 This is a little candle gift that could be added to a "Boo Basket"! If you've ever received one they are so fun! This little project only took me 10 minutes to complete. I told you the other day, I'm about cute and quick! :) So if you had to make several, it's doable!! I picked up these plain candle pack at "wally world", peeled off the label and covered it with the Fancy Frame die. 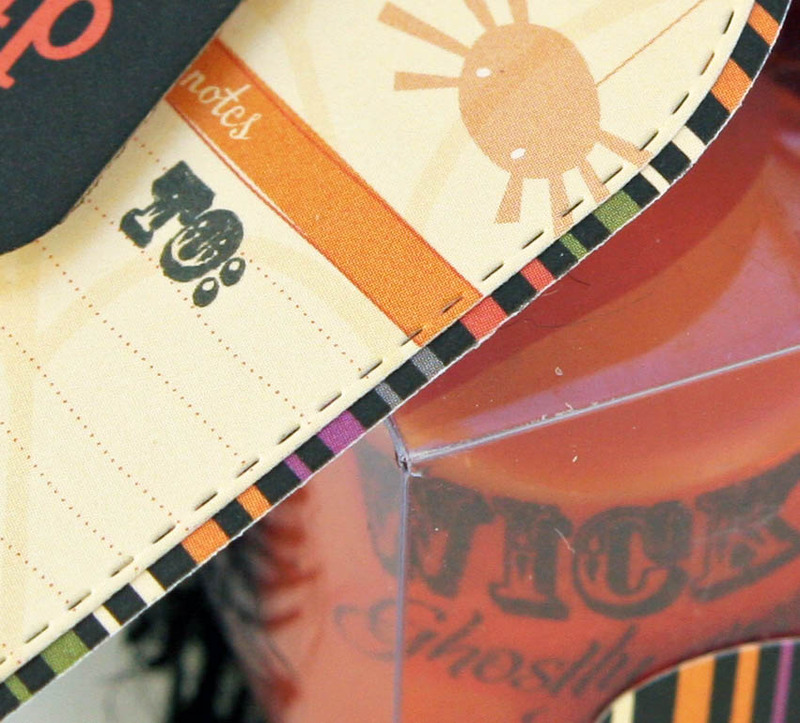 Then I stamped the new Halloween stamp from the "Just for You" stamp set on to orange tissue paper. Next I cut around the sentiment (this took the most time), then heat set the tissue paper to the candle being careful not to melt it. Put them back in the box they came in, and added the burlap, hemp and tag! Oh, yea I stamp "to and from" on the tag. Easy Peasy!!! Your next stop is Miss Micia! OMG!!!!!!!! WHAT A SUPER CUTE IDEA!!!!!! LOVE LOVE LOVE!!! EXCELLENT Job my sweet friend! So fun and creative!! I love how you have done the candles with the sentiment and accented the box with the die cuts. So awesome!! Very cool idea ... Definitely going to try that! Love this project! Thanks for sharing! Wonderful!! Great project. Wonderful gift idea. Wow! Your candles are amazing, Liz! What a fabulous idea!!! This is so super adorable Liz!!! 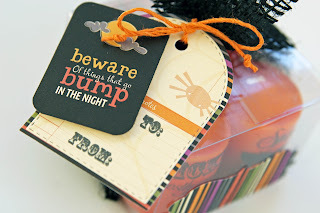 Love the little gift idea and these adorable new stamps and dies!! This is a great idea!! Love it!!! SUPER cute! You make it sound so easy! Liz ~ OMG!!! I would have never thought about buying a candle pack and making a tag for it! CLEVER!!!! This si such a wonderful idea! Well you know i LOVE that burlap and ANYTHING from your store!!! That tag is just SPOOKTACULAR!!! I have YET to play with those fun stamps but they look AMAZING on your tag! Of course I LOVE the papre too! hehehe! AWESOME job as always! Happy Annivesary too!!! 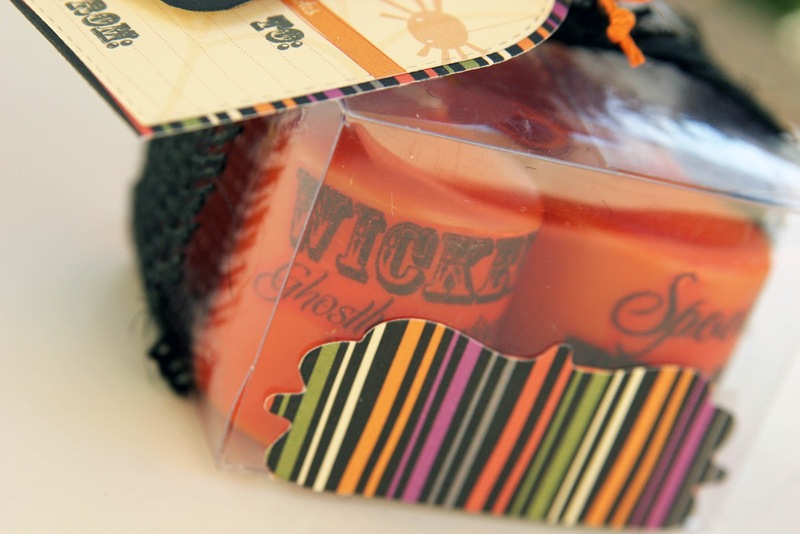 These are fabulous.love how you added the spooky sentiment to the candles. What a great idea and very clever! Adorable! Great idea!! Project looks FABULOUS! That is the coolest thing I have seen for a pack of candles. Great idea. LOVE IT LIZ!! Perfect gift tag and LOVE the candle idea! Oh my goodness, I love this adorable little candle gift!!! What a great idea, altering the candles themselves. LOVE this, Liz!!! Wow, just love this idea. They turned out so pretty and professional looking. The packaging is the best touch. Your project is absolutely adorable. A perfect gift for my son's teacher! Thank you for sharing your fabulous and fun idea! Love your work, and am a new follower! OMGosh what a quick, fun and cute little gift! I love it!! O wow that is so cool!! I never knew how to stamp on a candle!! Thanks for the info!! Love how the candles came out. The stamps really pop. OMGosh Liz, these are super cool! I love candles, what an awesome idea for a gift. Thanks so much for sharing. OMGosh, what a clever way to convert this packaging...LOVE it! Thank you so much for sharing your creativity and inspiration!!! Great idea! I had forgotten this little trick but I so appreciate you brining it back! Thank you so much for sharing! I love learning new things...so creative! What a fantastic idea and your project looks so cute. I'm going to have to steal this idea. Great job! These are darling..you took a container of candles and made it into a work of art..love it! Wow, such a great job, thanks for sharing. Cute tag. Love the new stamps. NO WAY!!! How cool is that!!! The candles look GREAT!!! Great job! So creative!!! Amazingly cute! I have to make some of these! So simple but yet awesome project! Love the tags! As always love all your products that Emma is always using! HI You did a great job love love love. What a great way to dress up plain candles. Very creative. what a nice gift idea! I loved the way you redecorated the candles! Make them look designer quality! very creative! What a clever 'make-over' for the candle pack; from 'plain' to 'stunning.' Your oh-so-clever approach here has definitely added another layer of 'must have' to these sets. I'm convinced. Totally! Thank you for inspiring! What a great idea! And it looks amazing. Thanks for sharing. this is such a great project! i love the tip on using the tissue paper and the heat gun to set it! What a cute idea for a hostess gift! Got my "happy boutique mail" yesterday! Can't wait to play! Great job on your candles...what a great gift! Always good to be reminded of the techniques...I keep forgetting about them. Somebody will be lucky to get these beauties! Smart idea Liz. Nice gift for someone. Love how you redecorated the pkg. simply sweet! TFS! Loved your project. I really can't wait to get my order in the mail. 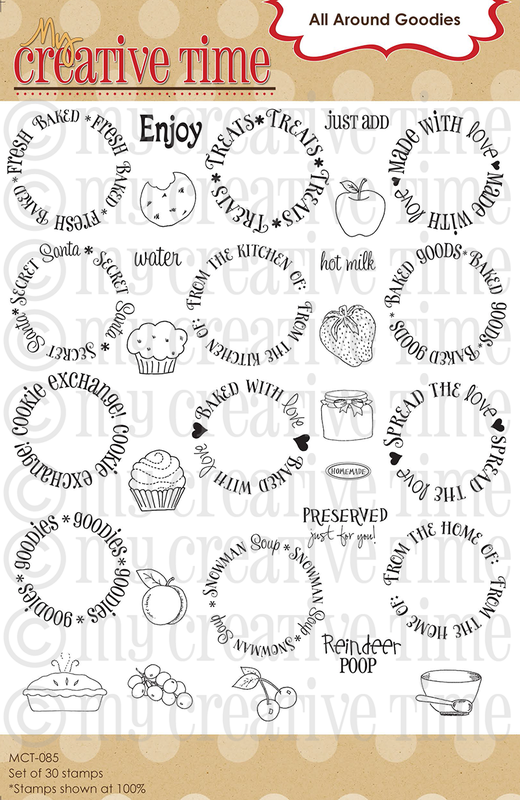 very very nice project can be used for many different times of the year!! nice gift!! very cute! great job done! Love your little gift Liz - great job on this! This is my favorite technique for candle embellishment , yours came out fabulous! TFS Liz! What a beautiful project. Love the idea of stamping on the candles. OMG Liz! Your candle gift turned out so FABULOUS! You are always so creative...thank you for the inspiration! Have a WONDERFUL weekend! OMG the candles are awesome!!! I am going to have to try this technique. Great job on the candles. Liz that's amazing! I love what you did to personalise the candles. Fantastic, thanks so much for sharing! I'd be afraid to melt the candles, this will be something I'll have to try. wow, this is really neat! I need to learn how to do this! Great project that you made, the tags are super cute too. Thanks for sharing. Great idea to use the candles! Very cute project! This is the cutest thing ever! I'm all about quick and easy and can't wait to try this. The tags really set off this awesome little gift. Great job!